This post first appeared on the Kerning The Gap blog in October 2017. Here’s a shocking statistic. 70% of graphic design students are women; yet only 11% of creative directors are female. It’s 2017 and yet there’s still an issue of inequality in our industry. What’s happening to all these amazing women as they progress through their career? Why are they not reaching those senior positions? What can we do to help? When I was a junior designer, it’s true I received some good advice from some great bosses. But I never felt fully supported – or understood – when it came to the biggest challenges we face as women in the creative industry: breaking through glass ceilings, getting promoted, having my voice heard and navigating my career. But speak to any woman who is in a senior role in our industry (including me) and they’ll all agree on one thing: having a mentor has helped them greatly in their careers. Mentoring is a well-recognised and powerful tool that enables people to make connections and allow deep, two-way learning. I’ve benefited from having a mentor. And now, as part of Kerning The Gap, I’m delighted to be a mentor. Kerning The Gap (KTG), was set up in 2015 by Nat Maher, as a collective of like-minded people who want to see more women in design leadership roles. It runs various events throughout the year including a new exciting mentoring scheme to help female creatives progress in their careers. The KTG mentoring scheme is a joint initiative along with mentoring organisation, The Conversation Space. And it allows pairs of creatives to organise their own meetings, telephone calls and emails over the course of a year, so it’s not overly structured and support can be offered where and when it’s needed. 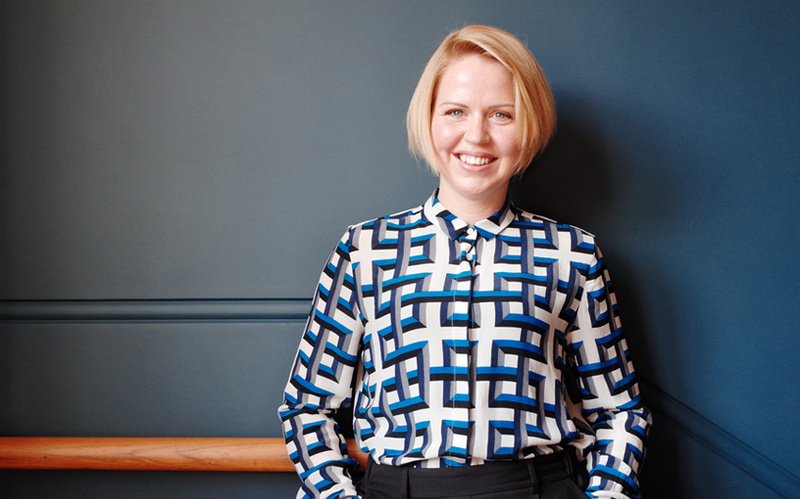 “We know that by connecting experienced mentors with motivated mentees, we can begin a process of helping women reach their potential within the design industry,” says Nat Maher. Helping and supporting others was something I was already doing, albeit informally. So I was thrilled to join the KTG mentoring scheme and be part of a programme that’s dedicated to helping women push through to the next stages of their careers. Remember when you were at a point in your career when you were really stuck. Or perhaps when you were a newbie to the design industry and felt confused or stressed? As a mentor you can help make that transition much easier for somebody else. And working with somebody outside of your organisation and helping them succeed might be one of the most rewarding things you can do with your time. As a mentor you have the opportunity to build up someone’s confidence and skill set. And believe it or not, watching someone else accomplish their goals can feel just as incredible as achieving those goals yourself. As a mentor you need to stay on top of your game, since a good mentee will challenge you with a wide variety of questions. This will make you even better at what you do and a more valuable employee. What’s more, learning to listen to others, demonstrating patience with those in need of support and guidance, and helping people figure out how best to move forward are all trademarks of great leaders. Being a mentor is also associated with improved job satisfaction, positive career plans and quicker promotions. Through your mentee, you can keep on top of new trends, emerging technologies and industry challenges. And if you continue to work in the same industry, you gain a valuable ally as you both progress through your careers. Also, by being a mentor, you’re shaping the design industry itself and creating positive workplaces where all women can flourish, be promoted and become mentors and role models themselves. What better way is there to help others grow into the employees you would like to employ? It’s important for women to have multiple mentors, both male and female. Successful people often credit one or more mentors who made a big difference in helping them achieve success. I was able to successfully set up Jackdaw Design because I worked with a mentor with 20 years’ experience who opened the door for me and guided me through it. We have something to learn from everyone, and we also have something to teach everyone. So my question for you is: if you’re in a leadership position and you’re not mentoring somebody, why not? Become a KTG mentor and you’ll be glad you did – and so will other women in the design industry.